I curate a list of exactly 100 quotes (one in, one out) for my personal inspiration and guidance, which I half-jokingly call the “Zen of Bradford”. Here are a few nuggets of wisdom from that list, mixed with some of my hard-earned UX experience. I know you want to dig out your pencils and start sketching, but first take a minute to deconstruct and articulate the problem. Taking a while to define five or six core principles of your desired experience will make your sketching go smoother, and will give it focus. This deeper understanding of why the design should progress in a particular direction also provides arguments that can subdue a HiPPO (Highest Paid Person’s Opinion). If you do not know your materials, all you do is express your inability to express yourself. Nurturing relationships builds true understanding, which leads to stronger design. Design works at the intersection of business, technology and user, so whilst it’s your role to speak for the user, your great design will be a terrible product if you do not understand the business drivers or technology boundaries. If you are arguing with a developer or stakeholder, it probably means you're both right, so there’s a winning compromise to be found. No Shortcuts Today—I’m in a Hurry! It’s basic UX 101 stuff, but even good, experienced designers fall to the dark-side temptation to decorate the house before it is built. Then, when requirements change, as they inevitably do, they get bogged down due to the additional baggage of high fidelity prototypes. Dust off Jesse James Garrett’s excellent “Elements of User Experience diagram” and take the steady but sure path from Conception to Completion. Sure, the visual designer will get all of the praise when they apply the polish, but the results will be cheaper, faster and a better experience. In design review, spend more of your time probing the criticism than enjoying the praise. It hurts because you design with love, but it's worth maximising the early pain by showing off your designs before you are really ready and by putting them in front of only your harshest colleagues (yes that one!). Also, consider recruiting test participants on the boundaries of your target segment so that they struggle with it. If your colleague tears a feature to pieces before your user testing, and then your user testing gives insights to refine it further, you’ve got two really worthwhile iterations. Sure, the feedback stung at the time, but the design is much better for it. I started my career as a business analyst, which taught me to explore all possibilities. My mentors lived by the mantra that “If it can happen, it will happen,” which led to a Cambrian explosion of features. This “could be” brainstorming is invaluable, and remains part of a good design thinking process. However, a big learning for me has been to apply the equal and opposite force of “should be” thinking. From the 12th century, philosophers have applied the principle of succinctness (also known as Ockham’s razor) to a variety of disciplines. You don’t necessarily need the best design, just better design. I read a report recently that suggested there was more to lose from delivering too late than too early. Whilst head-down in design, it’s easy to forget that projects are built around a business case based on spending a certain amount of effort to receive a larger amount of gain. When it comes to collecting business gains, a good design released on time is far better than a perfect design delivered too late. Perfectionism works against your aims in the long run anyway, as hogging all the project time for design will mean the developers and testers are squeezed, such that they can’t realise your vision. David is a UX designer and digital strategist with 20 years experience in UK and Australia. 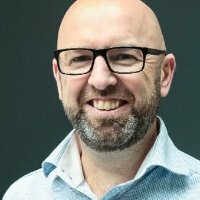 In recent years he's been contributing to, and learning from, some of Melbourne's best digital teams. His brain is hardwired to unpick and redesign customer experiences, so if he’s distracted whilst you’re out for a drink… he’ll be redesigning the bar.